Friday was officially “greenup” in Fairbanks, according to the National Weather Service. Of course, it didn’t take the weather service to tell most of us that the buds on the trees had popped and turned the hillsides surrounding Fairbanks from winter brown to spring green. It’s amazing what a difference there was from Thursday afternoon to Friday afternoon. Saturday was pretty cloudy and damp, but Sunday was sunny and warm, so Paula and I spent several hours out at Creamer’s Field, a local hangout for birders. Creamer's Field Migratory Waterfowl Refuge is an 1,800-acre bird observatory on College Road in Fairbanks. It used to be Charles Creamer's dairy farm, till 1966, when he sold it to the Alaska Department of Fish and Game. Founded in 1904 Creamer's Dairy is the oldest dairy farm in the state of Alaska and the northernmost in the Western hemisphere. Today Creamer's Field plays a special role in the lives of migratory birds. 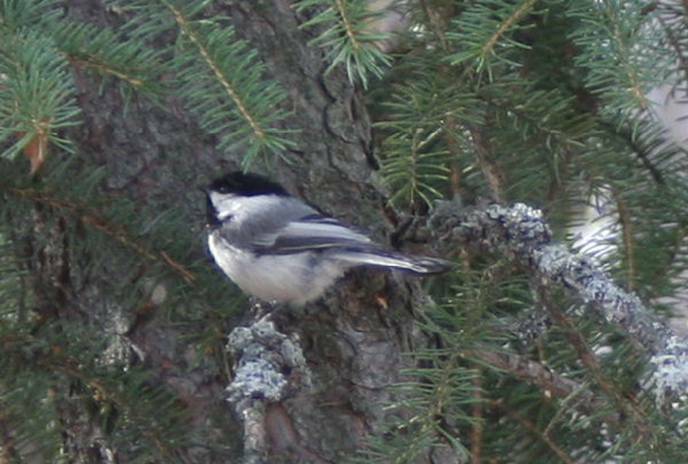 Some birds, including chickadees, redpolls, ravens and owls, remain at Creamer's the entire year. There's a Visitor Center in the old farmhouse, and bird watchers can choose from three nature trails around the fields or through the boreal forest. The forest trail includes a 20-foot-high observation platform. 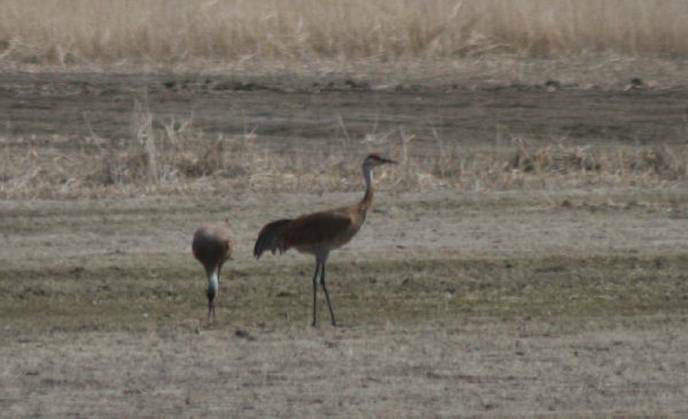 We actually saw a pair of Cranes doing their mating dance, but we were not able to get a picture of them.